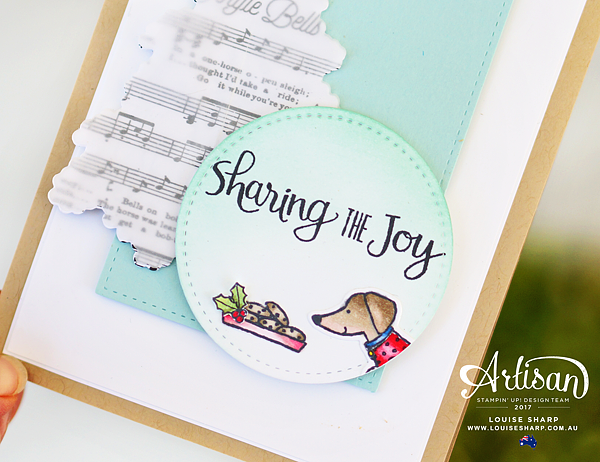 Today the Artisan Design Team are highlighting the STAMPIN' BLENDS! Yes, I'm yelling.....I'm just so excited!!! These NEW premier alcohol markers are high-quality with a dual-tip that come in 12 of Stampin’ Up!’s exclusive colours, each with a light and dark shade. 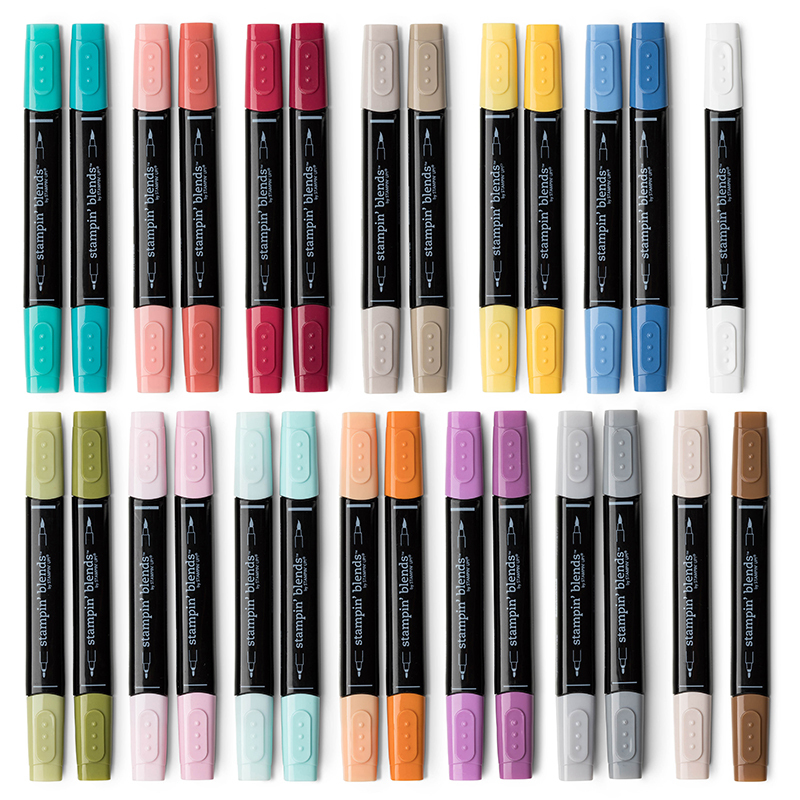 I promise you can be a true colouring artist with these fabulous markers! 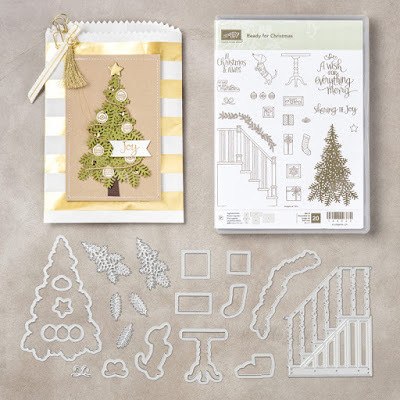 I used the Ready for Christmas stamp set and coordinating Christmas Staircase Thinlits Dies from page 6-7 of the Holiday Catalogue. I do love that little Dachshund (or 'sausage dog' as it's known in the Sharp house! lol) - however it does look a little like our Jack-Russel and she would definitely be getting into the Christmas cookies if given half the chance! 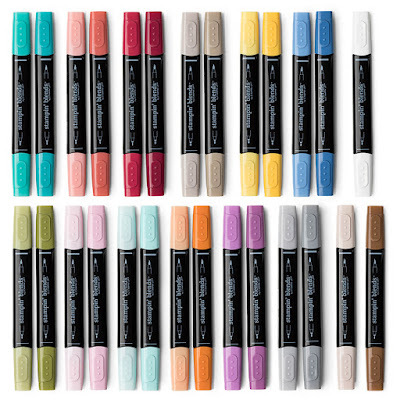 Add just the right amount of colour where you need it with the brush tip or fine-point. Each colour (except Ivory and Bronze) has a light and dark shade marker, available individually or in a combo pack. The nestable lids are easy to keep track of and have a tight fit for long-lasting colour. 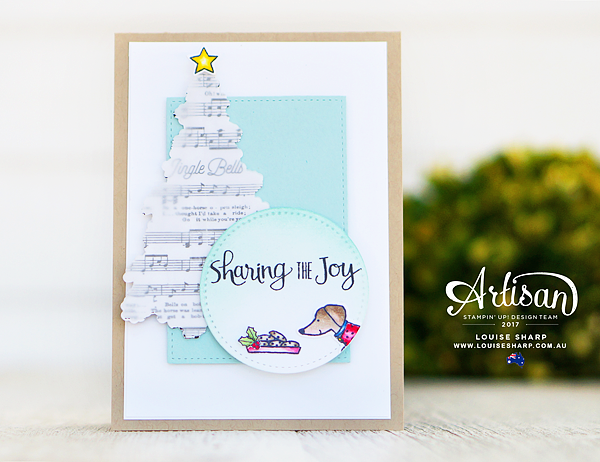 Beautiful, Louise! The coloring around the sentiment is divine! And that little touch of holly - adorable!